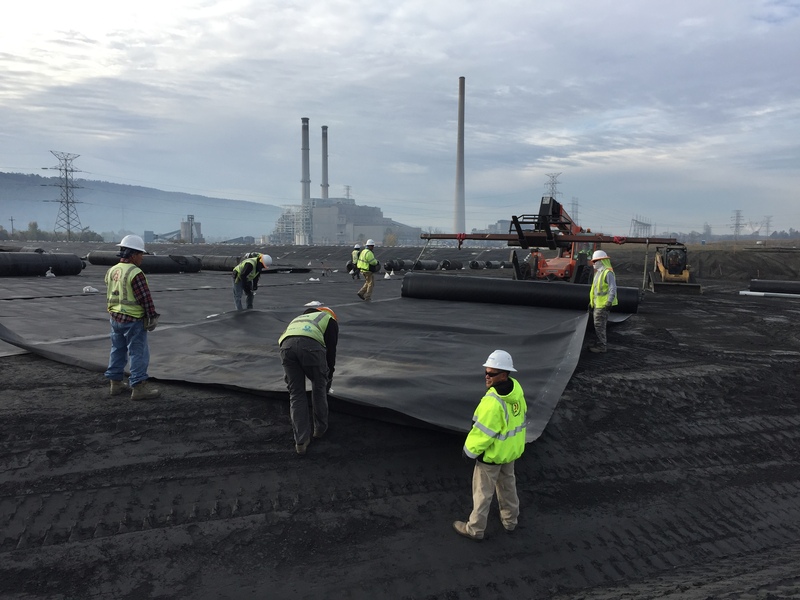 Providing environmental linings for Coal Combustion Residuals (CCR) sites is a major part of our business. We have completed hundreds of acres of such installations throughout the nation at well-recognized companies in the electric power industry. Our industry leading safety record (currently 0.73 EMR), experienced and competent skilled crews, will provide the finest installation to meet regulatory approval and CQA standards. Our crews have experience in installing buried liner systems, exposed geomembrane systems, turf systems for closure, HDPE pipe systems and other solutions to provide the industry’s most comprehensive and trustworthy installation services.